I have said a heck of a lot more about Spokane than I ever intended. This project grew much bigger than I ever anticipated. Ick. All I wanted to do was find out what happened to a bunch of companies that had closed or left. I never set out nor intended to end up with a huge economic study and probably a bad one at that. Oh well. I thought I was done last fall, then something happened and there was more to post. I thought I was done in January but the cycle repeated. Various people asked for “recommendations” – I tried to come up with something original, even though it could be off in space. At this point, I will step back (yeah, right …) from this hobby that went on much too long. I tried to source the majority of posts and charts to reputable original data sources. There could be errors in the original data or sometimes, I had to transcribe data and could have made mistakes or mistakes in interpretation. Some contacts that provided information could have been incorrect. As I’ve said all along, if there is better data, please provide the data and the source and I will fix it and make updates. The goal has been to make this an evidence-based, data driven blog. I hope others may learn from this information and translate this into useful actions for the local area. There’s lots of people smarter than me (ok, probably most everyone …) and hope they will take a look a this too. What we really need is a group effort. May be we can start with social media like LaunchPadINW. Get a discussion going. Keep this effort alive. Thanks for reading. Having run this blog about 5 months longer than I ever intended, I think I am through for a while. I was going to say who I am but quite a few people have contacted me to say I should remain anonymous. Readership has grown to over 1 person 2 people 10 100 wow! 200 250 people per day for a tiny blog covering the world’s most boring subject. I have no idea why – must be a lot of bored people… That’s about 4x to 8x more than I ever thought would visit this web site and this was reached without resorting to cute kitten videos or naked celebrity photos 🙂 About 70% of visitors land here each day as the result of searching for information, usually about Spokane and topics like 4G cellular, crime, unemployment, wages, schools and so on. I’d like to post some data on the previous comments/stories about tech companies getting skilled workers. For some reason i am not allowed to post any more. In short, if you look at the overal Mfg sector in Spokane from 2010 to now, there’s a gain of about 200 jobs. The point: you’re more than welcome to frame your timeline anyway you wish to; you’re selection clearly goes back to before the Recession and finds, voila, we’ve lost bunches of jobs all acros the key sectors. No big deal, that’s the way it is. But with regard JUST for tech, you can’t use any one sector to fully capture the “uptick” from the losses at Agilent and Itronix. Those jobs were lost, but some of those workers went to work elsewhjere in the area. And how do you measure that? Well, in 2010, the jobs in mgf here grew by 200 (even while the whole mfg sector was pummeled). That data will be officially released next week, we’re told. You can find it if you work with teh ESD folks in Olympia, prerelease. And again, Using Information Workers or Business services creates a useless bunch of numbers; those are hardly relevant. And lastly… there are jobs at startups and small small tech firms that won’t even be counted by the state job numbers. Those get missed. Uh, your comment is there. I have not done anything. Sometimes the anti-spam filter holds comments for moderation but your note above, was not held. I hope you are right about your data. I have not seen it. And various proxy data does not yet support anything major. I do not see it in job ads, for example. I’ve looked at Craigslist, the SR ads, DICE.com, the other online job sites, and Washington’s WorkSource. There’s been just a very tiny number of jobs. Nothing to get excited about. KXLY ran a story on March 4th, based on anecdotes, saying that the local unemployment rate was going down. But the March 24th data for February does not support that contention. Which is why I’ve tried to use reputable data sources. Their data tell us where we’ve been but can’t tell us where we are right at this instant. Great piece and vision Mr. X! Perhaps you should consider running for mayor. After all such a vision is better than spending inordinate amounts of time on how to water our yards, bike lanes on 2nd Ave, anything to do with the Waste to Energy Plant which is another concrete monolith on the West Plains that is a sham extraordinaire that my sources have told me, the few and the City, are raking in a take from and finally Sewer Wars now underway with the same cast of characters in the Valley ala the water wars of LA as fictionalized in the movie Chinatown. As a graduate of the University of California, Riverside’s Graduate School of Management with considerable course work in urban public planning, I concur with your data assessment and recommendations. I applaud your important work and effort. I would encourage all who visit here to share this immediately within their social networks. We need to build a wave of support of the people to wash over the few that so far have a very good gig in this town and who have directly disproportionally personally benefited from the public treasury for the last 100 years. So far, the few, have successfully controlled the flow of information to the masses through their media organs to molify them and to conceal their own criminal acts. See the Fancher Report that I linked to in my earlier comment that I linked to below. The key to implementing your recommendations is to share this information via nontraditional methods of communications now emerging – the new/alternative/social media. The masses once given information that they have been consistently lied to and robbed by, the few, for many decades will revolt and storm the Bastille to take BACK OUR GOVERNMENT to act in our own best interests and not of the few. Mr X. I wouldn’t be so self-depreciating of your work. You have quantified through excellent visualizations that are easy to understand of what some of us who have been successfully marginalized by the few, have intuitively believed to be the case. Are they sheep cowering in the shadows or simply they have not been informed? Past multi-term president of a CA statewide investigators’ association. i should add… I seemed NOT able to post on the specific earlier story you had, about tech losses/gains at area firms. The blog uses Akismet spam filtering. There have been some times in the past month where it cannot contact the Akismet service to check a comment. 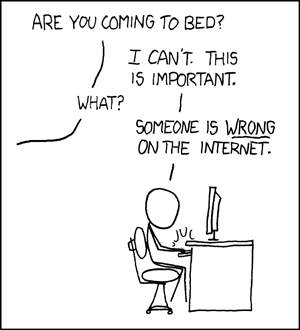 When that happens, it holds the comment for moderation and alerts me. Once I see that, I clear it for publishing. If I’m working at a computer, like right now, I can moderate the comment quickly. Otherwise, it waits until I’m back at a computer and look at it. I try to publish all comments that are not obvious spam. I think I set it such that a story more than 7 days old turns off comments. Most of the spam gets posted on old items, not new stuff. I may open that up again as Akismet seems to be working again. Regarding the waste to energy plant, their web page says it is only 13% efficient in conversion to electricity. A mechanical engineer tells me that 13% is not very good and it should be much better but this seems to be a very old design. I once compared our costs of disposal to those of other cities, even some big ones on the east coast, and they were cheaper per ton than here. And that included shipping their trash by rail lines to land fills. Yeah, it looks like a boondoggle. But I have not really pursued it – I’ll leave that for others. that had some good info/data that this plant is a boondoggle but it’s disappeared from view. I’ll do some checking to see if the contents are still around on an Internet archive site. As for that, I don’t agree entirely with the POINT of your earlier post; which is that the Spokesman news article OVERstated whatever good news might be found in the community, post the big job losses from 2009 on…. 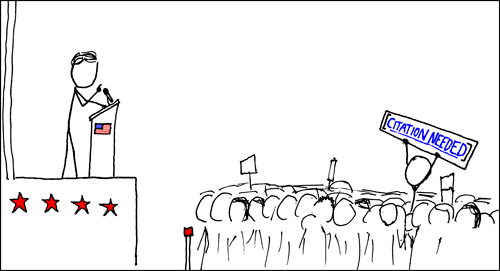 We will disagree on that, since you see the data a bit differntly than I do…. thanks. It seems that I stumbled into this from a different perspective of trying to understand why the local economy is just weird. It really is weird here and its been unusual for a long time. My hypothesis is that it comes down to pouring so much money into some narrowly defined projects/geography which benefits a few but not the overall area. Fancher explains why in his Harvard thesis. I’ve downloaded the thesis and will review it when I have some time. Also, here is the old web site on the Spokane waste to energy plant that you mentioned. Says Spokane pays more than twice the national average for disposal – lots of other interesting items there. I might have come down too hard on the SR article. It was a bit incomplete though, and a subsequent comment by the article author on the SR web site clarified that it was intended to only look at the last year or so and acknowledged the deeper losses over time. My comments were more in the vein of several media stories recently that were hokey. On March 4th, KXLY claimed the unemployment rate was going down. We wish. But they made that up from anecdotes and it turned out not to be true. Then earlier this week, as another example, KREM ran a story on 3 businesses “booming”. But as commenters noted, it was probably a “net zero” as retail outlets were shuffling around, replacing space previously occupied by other businesses – just re-arranging things, and one boat dealer had sort of replaced 2 or 3 others that had folded. Not negative, but not net gain either. I mentioned Timothy Egan, of the NY Times in the previous post. I read his book The Worst Hard Time, about the Great Depression on the southern plains. There is an item in the book where the local newspapers (what we call media today) decided to only print happy news. That’s nice but it distorts the public’s understanding of their situation. I’ve seen that recently in all local media since this downturn began. May be it has been there all along and I only just noticed. Consequently, my comments were more oriented against the happy talk news coverage that leaves out important details. I did not do a good job of explaining that. Still, we’ve fallen into quite a hole and have been falling for a long time. Its important to understand the duration. Since you’re recommending the works of Timothy Egan, NYT reporter and bestselling author, I would strongly recommend readers read his book about former Sheriff Tony Bamonte solving the oldest open homicide case in the US in Spokane. This murder occurred in the 1930’s by a criminal gang within the Spokane Police Department who were involved in stealing butter and selling in the local black market. They were discovered by the town marshal of Newport. 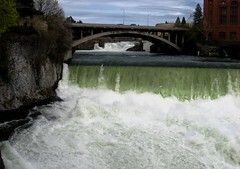 They shot and killed the marshal and dumped the murder weapon in the Spokane River. Read this review of Egan’s book, Breaking Blue, that ran in the S-R. I would like to say that things have change in Spokane but sometimes even I have to wonder. In some aspects things remain the same. See my report re the cover up of the death of Jo Ellen Savage in the RPS Parking Garage. The reason why it had to be covered up is that it would have exposed, the few, to prosecution of a first-degree manslaughter and exposed the inner workings and those involved in the RPS Bond Frauds which will cost the citizens/taxpayers of Spokane minimally $87M. Not to mention the reason for the high parking rates in Downtown to pay the debt svs of a parking garage we don’t even own! Scroll down to my RICO report and table of evidence. See RW26 for information regarding the Savage manslaughter cover up. And the beat goes on. There still is an unsolved <a href-"http://larryshook.com/2010/04/12/fire-and-fraud-in-spokane/&quot;.arson/murder death of SFD Capt. Hanna in the Zukor Clothing Store fire located in the Jamison Building where the STA Transit Plaza is located. There are interesting property acquisitions that occurred before and after this fire under a number of LLCs. Things went on ice for about ten years before the STA Plaza rolled out at a cost of almost $20M of taxpayer funds on a site that is at best ill-suited for this facility. While were on the subject of urban renewal by arson don’t forget the District 81 Sch Dist Adm arson fire that occurred the previous year. The District sold the property at a fire sale. Dare I mention this site is now the new location of Nodrstroms at River Park Square? I found another, very new award, that local promoters do not list on their web page of community awards. Based on the survey, Spokane, WA edged out 99 other towns across the country to top the Boldest Towns list. When they’re not arm-wrestling strangers (26 percent have), “Spokanites” are taking chances in various aspects of their lives: nearly half of those questioned have tattoos and more than one in three have dated a friend’s ex. They’re also taking chances in the workplace: 59 percent have called in sick to work when they weren’t; 57 percent have left their job without another one lined up; and 39 percent have started their own business. Not to mention, nine percent took the term “bold” to another level in their office…by dating their boss! Spokane SAVES money when the plant is down for repairs because it is cheaper to ship the garbage across the state to a landfill. Local citizens pay twice as much as the rest of the country for trash disposal because of this boondoggle. They can’t close it down because of how its structured to pay off the bond payments. Now that I’ve see the Fancher report (Thanks Ron), I’ve concluded that Spokane’s economy is a wrecked economy. It was wrecked by those who lobbied for government expenditures that did not benefit everyone. Spokane has had decades of mal-investment that turned out poorly. – average pay has gone down relative to everywhere else (and hence, relative to the actual costs of living) for more than 30 years. – our real estate vacancy rate, depending on which components you look at, it is on par with Las Vegas, ground zero of the real estate crash in the country. The problem is mal investment that led no where for most of the folks in town, leaving the area in the midst of a depression. I wish I had read the Fancher report before I started looking at the local economy. I came at all this from a different direction than Terry Fancher but ultimately ended up in the same place. If I had read that nearly 3 years ago, I would not have made it a hobby to understand why all this happened. At least I developed some good research and analysis skills. Also, when I said earlier I needed to be leaving town, that was not entirely a joke. We’ve decided to move out. Sooner rather than later. Mr. X – Hey I hope it wasn’t anything I said regarding your decision to move from Spokane? I was serious when I said I decided to retire here after much research for Spokane’s many fine amenities/attributes to many to name here with the exception of our government. Nobody’s put the squeeze on you yet have they? Your work as I said has put the data in visual form that is readily understandable that some of us have intuitively understood that the few have been robbing us poor serfs blind for many years running. I for one will not be robbed in broad daylight if I can help it. Unfortunately I and others have been marginalized for our efforts. Hopefully others that are not brain dead with your excellent work can now understand this too . You’ve just scratched the surface. Spokane operates very much like a feudal fiefdom. There is safety in numbers. It’s time to storm the Bastille to retake control of OUR government from the few that have bastardized it for their own personal benefit. Most people who live here are too busy trying to make a living rather then spending time to understand Spokane’s inner workings and or source code. What will get serfs hopping mad is if they realize those who are in favored status and have access to the feudal court may be getting favorable property assessment for tax purposes. . . .Prominent among the pile on Bamonte’s [Former Sheriff Tony Bamonte] table was a package containing evidence the former sheriff believes could be among the most explosive yet. This evidence suggests to Bamonte that Spokane County Assessor Ralph Baker is engaged in a massive property assessment fraud worth millions of dollars to the Cowles family. The scheme forces all other Spokane County property owners to pay higher property taxes to make up the difference, says Bamonte. “This evidence supports probable cause to investigate property tax fraud as an important component of the Cowles family’s organized criminal enterprise,” Bamonte told Burns. Read this piece by Tim Connor with what Al French did to Bonnie Mager with Baker’s help in the last County Commissioner’s election. See the side note about Baker and his loyal associates deleting public records when they left office. This IS CRIMINAL! Why delete the files? Interestingly enough the S-R was silent about this destruction of computer records in this latest article by John Craig. I know the S-R is aware of this information. words to adequately describe it. Oh no, what you said is fine. Until I got to the end of this, I had not read the Fancher report. Thanks for the links! By the end this blog, and based on making sense of the data, I seem to have ended up at the same place as Fancher – we poured public investment money in to a lot of things that did not pay off for the rest of us. We’ve made a lot bad investments to benefit a few. For a $570 million freeway to nowhere, are we getting say $25 or $50 million a year in benefits today? I do not think so. There are many examples like that. From the Fancher report to today, its the same old thing. Nothing’s changed and nothing is going to change. We need to work for a living and there are much better opportunities elsewhere now. That’s all I will say. There is a lot of property tax fraud going on. I’ve gone through the parcel map – only because I was trying to look up something specific – and ran across some developers who parked their projects a few years back in the downturn. They have not paid property taxes in years. I just looked at data and came to the same place that Fancher, you, Tim Conner, Tony Bamonte, Larry Shook and others all came to. Each of us has brought different types of skills to the mix. Has anyone threatened me? No. Are they, shall we say, on to me? I’ve seen some things that make me think so. But I am not worried. For several reasons our life will move us elsewhere – and it is not worth my time to pursue this issue here, to the ends of the earth. Sorry to say that, but that is being realistic. I’ve wondered why Spokane has such low wages and mostly the kind of jobs that do not pay well. Then I read this story – about companies with unpaid staff – claiming it is a good work experience. Read the comments. One hints this is the new normal – and seems like several business owners think it should be legal to pay workers nothing (it generally is not legal). Thanks for all the great work here. As someone who is relatively new to the area (and relatively late to your tiny blog on a boring subject), I appreciate your making sense of what quite clearly doesn’t make sense around here.